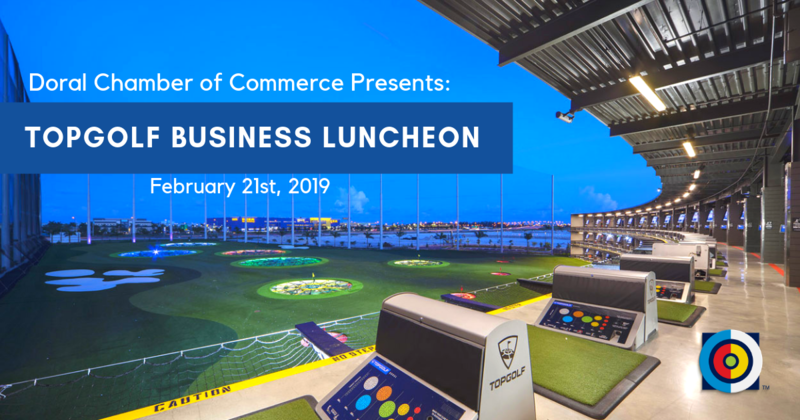 February 21st, 2019 | 11:30 a.m. to 1:30 p.m.
monthly Power Luncheon at Topgolf Miami - Doral. Network with Doral Chamber of Commerce chamber members and guests at this exciting event. Don't miss out on the chance to network, eat, and play at Topgolf Miami Doral!